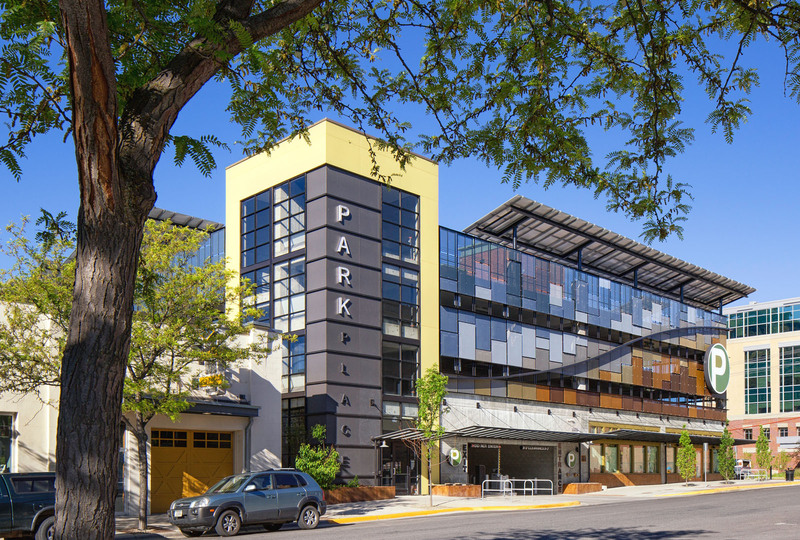 The Park Place parking structure is a five-level, 334-space parking structure with 3,000 square feet of retail area on the corner of Front and Pattee Streets. 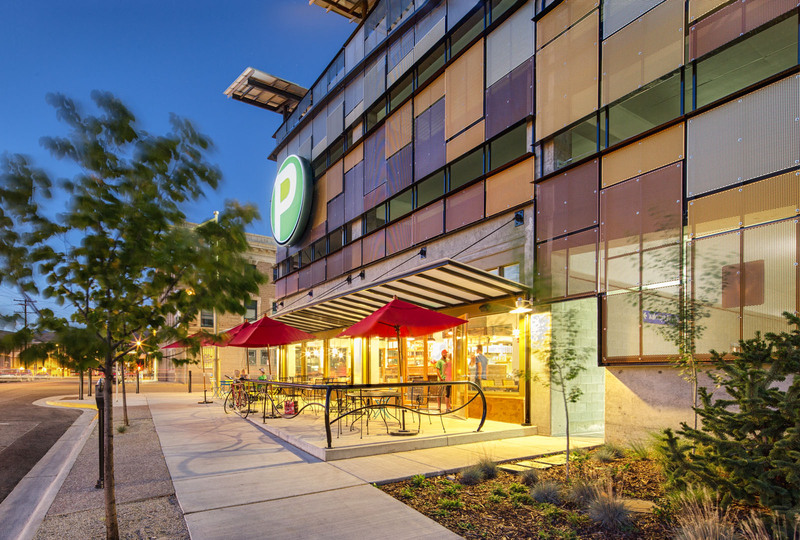 Designed to create a new “brand” for the Missoula Parking Commission that is “fresh, urban and progressive,” the building has pedestrian-friendly elements that reinforce the urban fabric of downtown Missoula and the Missoula Downtown Master Plan. 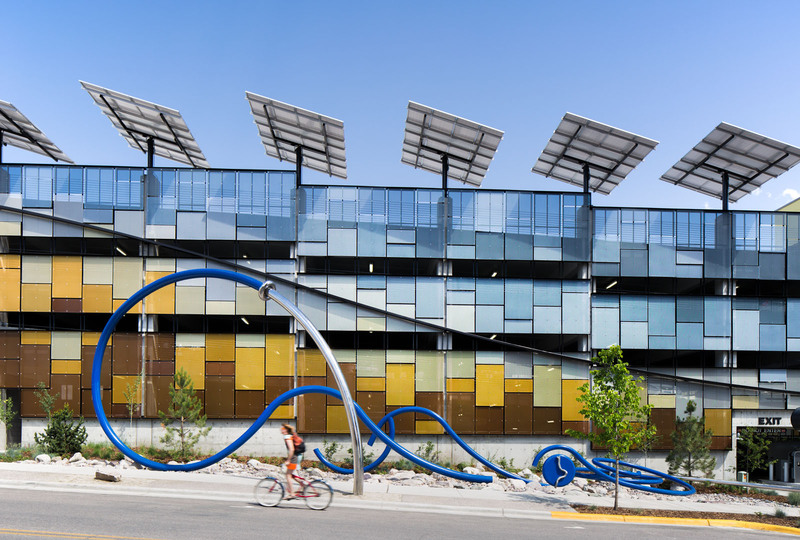 The building is also projected to use 60% less energy than a typical parking structure. 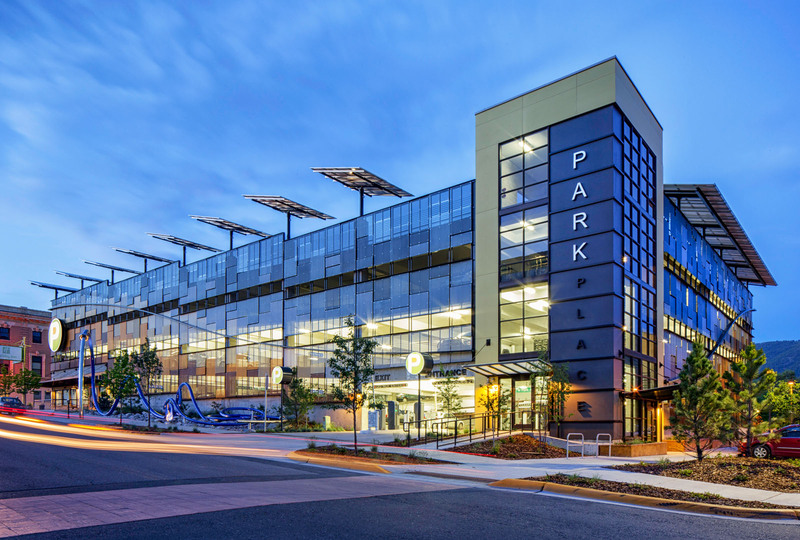 Infrastructure for electric car charging receptacles is included in the building so that energy from the roof-mounted panels could power a parker’s commute. 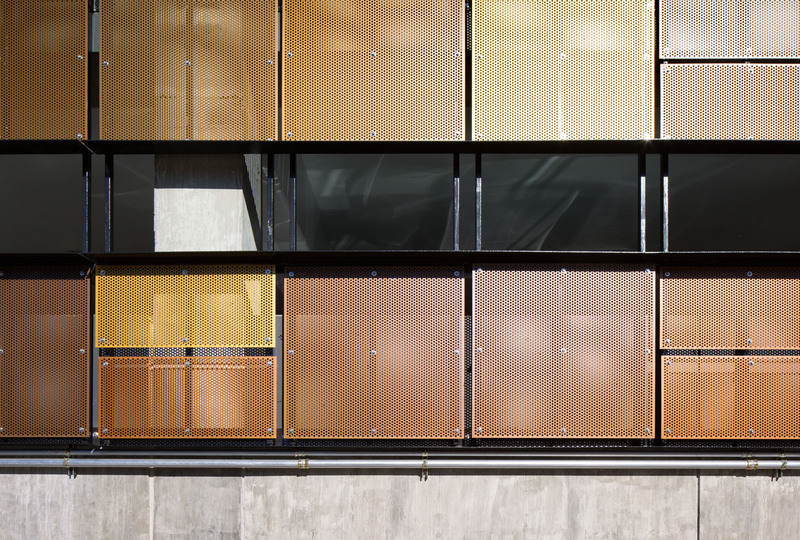 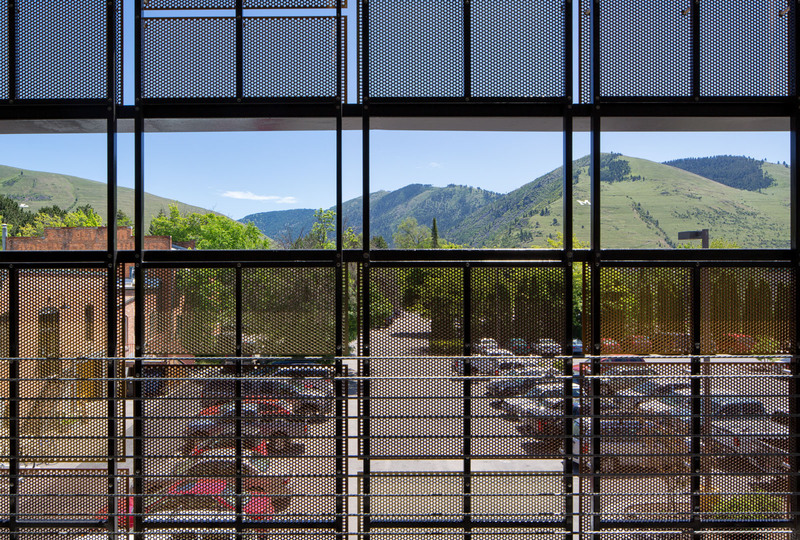 The skin covering the parking portion of the building is made of perforated aluminum panels with 30” wide view slots at eye level to allow unobstructed views to the surrounding hills. 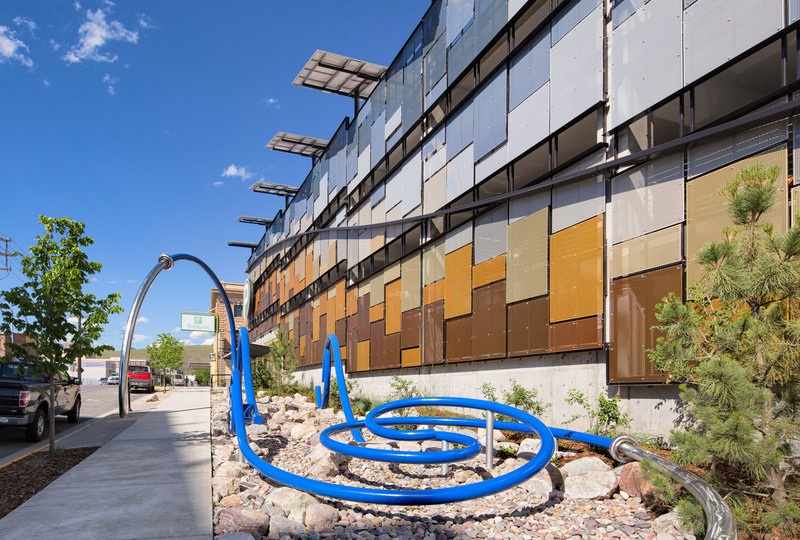 There are 8 colors of panel in a mosaic pattern – the colors below the swooping metal line that splits the façade reflect the colors of dried grasses on the hillsides surrounding Missoula; the colors above the swoop are selected to relate to the sky.